Prime Minister Justin Trudeau today condemned leaks to the media about a highly confidential Supreme Court appointment process and denied his office was the source of the information. 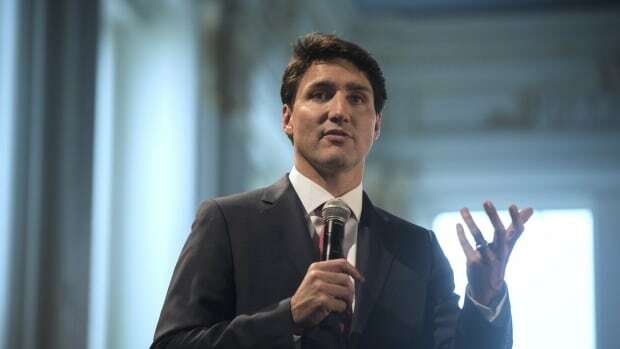 Speaking to reporters in Halifax Thursday, Trudeau commented on media reports this week that said Jody Wilson-Raybould and Trudeau had a “significant disagreement” over the 2017 nomination to the top court. CTV and The Canadian Press reported that Wilson-Raybould, then justice minister and attorney general, wanted Manitoba judge Glenn Joyal to be chief justice of the Supreme Court, while Trudeau thought he was too conservative a pick for a Liberal government that champions the Charter of Rights. Typically, discussions linked to the sensitive judicial appointment process are treated as highly confidential. “We condemn the number of leaks that have happened recently of confidential information that has been let out over the past weeks,” Trudeau said. The prime minister said his office did not have “any part in leaking.” His office also issued its own denial late yesterday. Trudeau said he wants to assure Canadians they can have confidence in the strength of Canada’s judiciary and its selection process. “This is something that degrades people’s confidence in the independence of our judicial system, and they need to know that they can still very much have confidence in our system,” he said. Wilson-Raybould also denied releasing the information and said Wednesday the leaks should be investigated. Justice Minister David Lametti tweeted his own concerns about the confidentiality breach Wednesday, prompting Conservative Leader Andrew Scheer to point the finger at the prime minister. “Why are you tweeting something like this instead of calling your boss, Justin Trudeau, and asking him why he leaked it?” Scheer tweeted. Media reports about the 2017 rift between Trudeau and Wilson-Raybould over the appointment landed in the midst of an intensifying political controversy over the SNC-Lavalin file. Wilson-Raybould has alleged she endured sustained, intense political pressure and veiled threats meant to convince her to override the independent decision of the director of the Public Prosecution Service to deny the company a deferred prosecution agreement. She has said she believes she was demoted to Veterans Affairs because she resisted that political pressure. Trudeau has denied her allegations, insisting that the issue amounts to a difference of perspectives. Wilson-Raybould submitted a new written statement and copies of emails and text messages to the Commons justice committee this week, after the Liberal-dominated committee voted to close down hearings on the SNC-Lavalin matter without recalling Wilson-Raybould back to testify a second time. Those documents are now being translated with personal information redacted, and are expected to be released Friday afternoon.